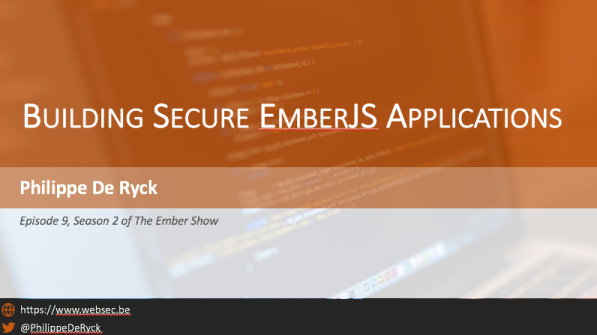 I gave a talk on Building Secure EmberJS applications at The Ember Show recently. These are the slides I used for that presentation. Once the video has been made available, I will link to it as well.